If you love photography, streetart and adventure appeals to you, then the Great Invader Hunt might just be the thing for you. Taking place this weekend 23 October, this photographic treasure hunt is being coordinated by the Lomographic Gallery here in London. 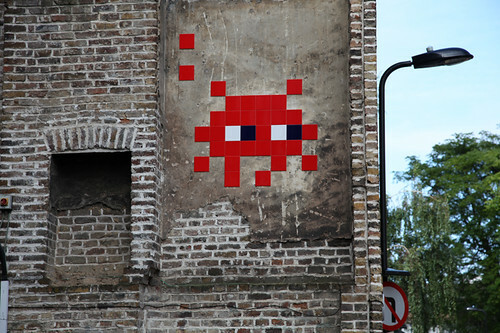 They are looking for teams of 5 to scope out London town in search of the mosaic-tiled SPACE INVADERS. Anyone living in London with a passing intested in streetart will have seen Invaders work. They're everywhere here in London — on bridges, buildings, and right on our street! Each group will have an LC-A+ camera, film, and more importantly — maps! 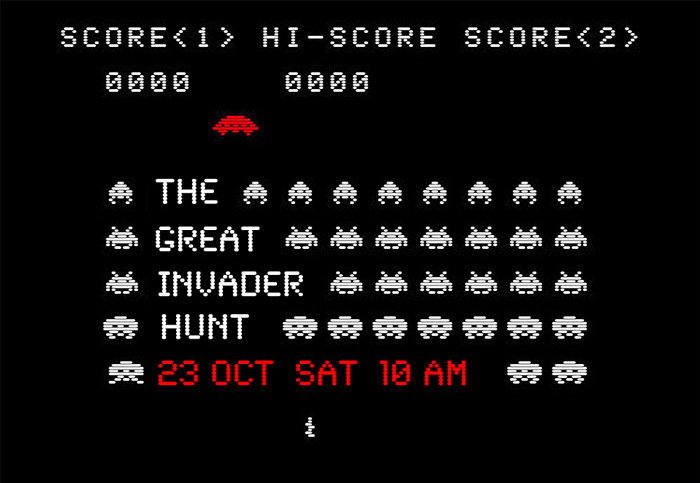 You'll be given 6 solid hours to hunt down as many invaders as you can all around the city... from Soho & Covent Garden to Notting Hill and Shoreditch. Russell Darling will be the judge of who comes back with the most invaders captured, also taking into consideration composition of the shot and location (as some are more difficult to find than others). 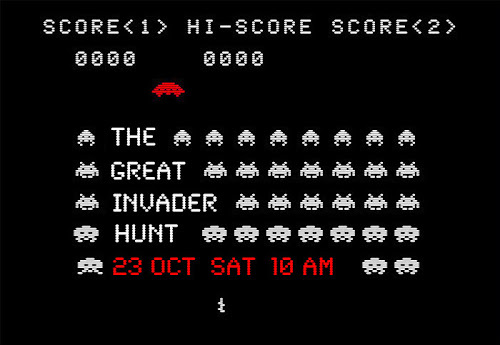 There will be prizes for the group that wins and also special prizes if rare invaders are found. Films will be processed straight away and each photograph will be suspended with fotoclips to be displayed in store — all this in one day! Tickets are £15 each and include a roll of film and discounts on film processing plus drinks while you wait for the films to be processed. E-mail lomographyuk@lomography.com or call (0)20 74341466 for more details. *Team members can borrow cameras to document the hunt as well. *Teams of 5 (randomly picked if signed on as singles (great for meeting new people!) or you can invite your friends and form your own group. Each team gets an Invader team pack (LC-A+, 3 rolls of film and free processing on the hunt rolls.